Many factors have unsettled the US coal industry lately: A decline in domestic consumption due in part to rising natural gas production, tougher regulation from the Environmental Protection Agency, and declining global coal prices. Combined, these factors have cost many people their jobs: According to SNL Energy data, as reported by Business Insider, US coal mine employment has dropped nearly 20% in the past two years. 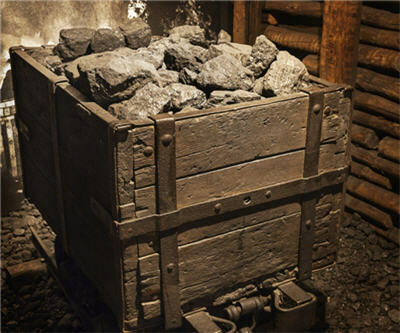 The effect on output is evident: In 2012 annual US coal production was below 1 billion short tons for the first time in 20 years, according to the US Energy Information Administration (EIA). But data obtained from InfoMine shows that among the country's 10 biggest coal mines – as measured by 2013 production – employment has dropped by just 0.5%; exactly half of them increased employment numbers between 2011 and 2013. Only one of these mines was not a top-10 producer in 2011 and all of them are located in the north-western US where coal is generally cheaper to extract and has lower sulphur content. Meanwhile, the EIA is predicting that coal production will grow nearly 4% in 2014 as consumption gains 4.1%. But many coal-fired power plants are expected to retire as the country implements the EPA's new emission rules which will drive a drop in consumption of 2.1% in 2015, the EIA projects.